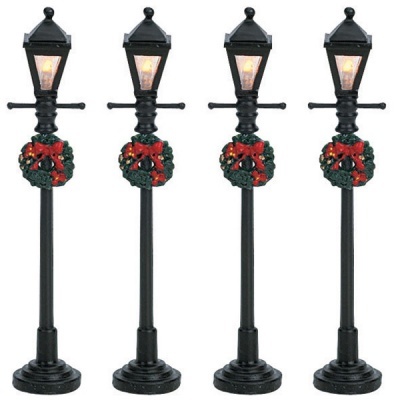 Lemax Gas Lantern Street Accessory (Set of 4) provides four individual battery lighted black traditional street lamps to compliment your miniature village seasonal display. Scaled and themed for placement in and amongst an old town streeet scene to add illumination and realism to street corners. The Gas Lantern Street Lamps are powered by a central battery pack with plenty of wire to ensure this can be placed out of sight from your display. 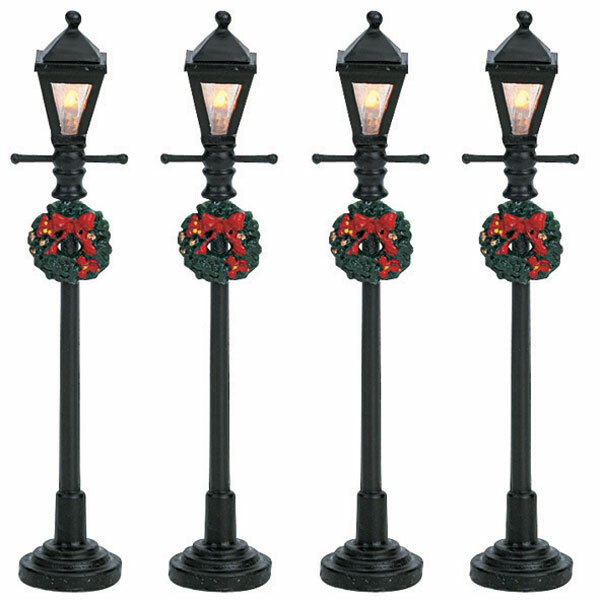 These self standing set of delightful street lamps joined the Lemax Village collection in 2006 and have been very popular ever since.